There are those whose dander rises at the simple image I’ve posted. The ire this event has fueled is both righteous anger and misplaced frustration. I’ve purposely held my tongue on the subject as I’ve taken my time digesting the information, the excitement and the commentary. Here are my thoughts on the matter. No one except for those directly involved truly know why a family member was not the accepting recipient on behalf of their loved one, at least from all I’ve read. I’ve heard varying accounts ranging from obvious apathy, other commitments, health and addiction issues, political concerns, not a paying gig, and the like. Had Priscilla accepted, the firestorm would have still raged, blowing from the other direction. Had Lisa accepted (my obvious choice) and she not in the best form, the focus would have been on her instead of her father, detracting from his honor. The older grandchildren certainly could have, but again would it have simply raised more questions? There are others who seemed more obvious … Billy Smith for example. I can imagine how thrilled he would have been to accept on his cousin and friend’s behalf. George Klein, had he been in good enough health to accept for his friend, same for Jerry Schilling, someone who Elvis knew and trusted. After all, wasn’t Jerry right by his side at his last White House appearance? While I certainly do not always understand the proposed route EPE seems to follow, I do know this. As a business and commercial enterprise, it is certainly in their best interest to NOT tick off their loyal Elvis consumers. I cannot see the choice of receiver Jack Soden, President and CEO of Elvis Presley Enterprises as a conscious decision to rile the masses. In fact, I wonder if it were in fact a more calculated business decision to dispel side issues, the lesser of the evils if you will. While our emotional side shouts family, the business side whispers “be smart”. EPE is in the business of Elvis, solely and fully. That is their capital venture, their mission, to promote, inform and educate, and yes, sell. Side issues of awards and honors draw attention to their product. But how much more are they missing? What additional important factor has been noticeable absent? What other angle will complete the circle and continue to draw to the future and beyond? The answer is simple, unseen items and untold stories – or which there are plenty. Jack, for all those who seem to despise the greedy capitalist EPE, has steered the ship well all these years. Those of us who are emotionally invested in the Presley saga often see things from a different viewpoint. I like to think the folks at EPE can somehow strike a balance between good sound growth oriented business decisions tempered with a thoughtful emotionally tied vision – looking ahead but still holding a firm grasp on the past. The truth is, that may be practically impossible emotionally as the faithful old guard dwindles. The next ten years will see even less of us, strikingly less. This is why there is an urgency to promote unseen and timeless Elvis art from an International viewpoint. Soon the firsthand accounts will all be gone and what will remain will be stories and memories. Sad, but true. They must be told. So while we moan and complain and gnash our teeth, I propose we keep our sight on what is true and honest and respectful of the man we so love. ELVIS WAS RIGHTFULLY AND DESERVEDLY HONORED – finally! Let’s allow those honors and reciprocal respect to continue. Our man was once again brought to the forefront of the news. Was it as we felt it should have been done? No. Was it a timely honor? No. Was it in the proper political or family channels? No. Can we change that? No. But if we continue to complain over it and rehash it, the detraction will erode the actual event. On behalf of fans and friends, and yes, even family, thank you Jack Soden for graciously representing and accepting this honor for Elvis and for us. I firmly believe Elvis would simply have returned this award back to the ones he always acknowledged, giving his fans the same respect and love he always showed. There was no honor he ever received while living, where he didn’t acknowledge his core roots – and this long overdue honor is surely no different. 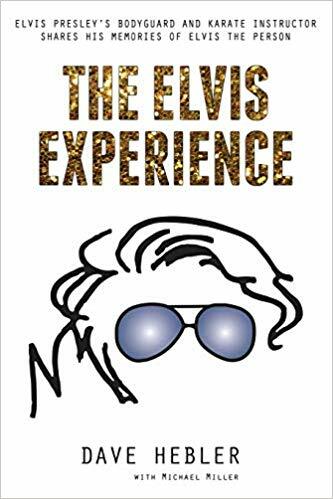 About the Author: Janet Bostic has been a fan of Elvis since the age of 5 (maybe before that!) and has studied his life as long as she can remember. She saw Elvis four times including once in 1976 when she received a scarf and enjoyed a kiss and some conversation with him. Janet has taken 4 trips to Graceland, with her earliest being in 1976 when Elvis lived there. She is visiting Graceland again in the Spring of 2019. Her favorite Elvis song is “Love Coming Down.” She is the mother of triplets and (just like Elvis) her only daughter’s name…is Lisa. Elvis has always been a huge part of her life. Next Next post: Are you all shook up?